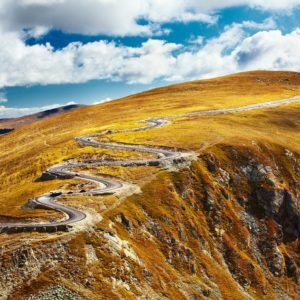 Initially, I planned around 140 kilometres for the day but when you cross Transalpina the day before you cannot help but feeling invincible. 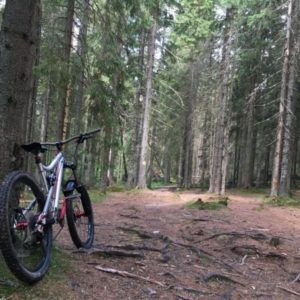 As I was covering the ground quite fast, I decided to go even further and sleep at a friend’s cabin in Boga rather that in the Ski Resort Arieseni. That meant I had to cycle 195 kilometers, 2200 meters to climb and 2100m to descend. This was the longest distance I have ever cycled in one day with some juicy climbs as well. The weather was perfect for cycling: clear sky, warm weather, traffic like everybody was at church and most importantly, powerful legs. On my way out of Alba Iulia, I have stepped in the countryside world. 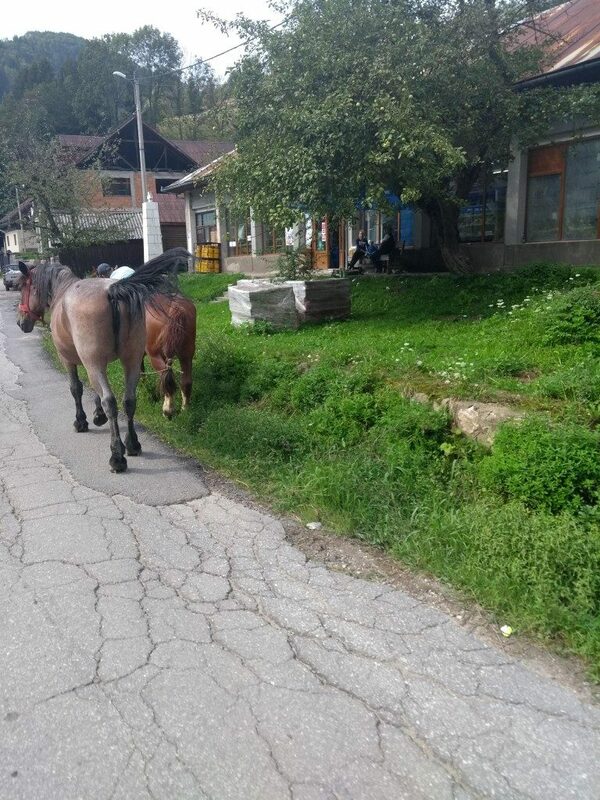 Beautiful villages at the foothills of the Apuseni were charming my eyes with their traditional wood houses, big gardens with animals and the autumn harvest ready to be sold or eaten. As you cross these villages you understand that being quite remote from any big city, they have to survive with what they have and make. Can you imagine being able to live with only what you make? Climbing slowly but surely, I reach another important point in our history – the Village of Rosia Montana or “Roșia of the Mountains”. Apart from a fairy-tale view and scenery, this area is estimated to have Europe’ largest gold resources. Gold has been exploited in mines here since the Stone Age. The controversy at Rosia Montana started when a Canadian corporation bought 80% of the rights to exploit the land. Also, the company began buying up houses in the village to ramp up influence around, but about 100 residents refused to sell and, supported by environmentalists, architects, archaeologists and lawyers, they have been battling the corporation and the state in courts. The main concerns of the opponents were related to environmental dangers of cyanide leaching of gold (as Romania witnessed the 2000 Baia Mare cyanide spill), as well as the destruction of the ancient Roman sites in Roșia Montană. The campaign against mining at Roșia Montană was one of the largest campaigns over a non-political cause in the last 20 years in Romania. All the NGOs efforts were paid off in June 2014, when the project and authorisation was revoked by the Romanian Chamber of Deputies. It was a win of conserving the natural treasury over money at any cost. 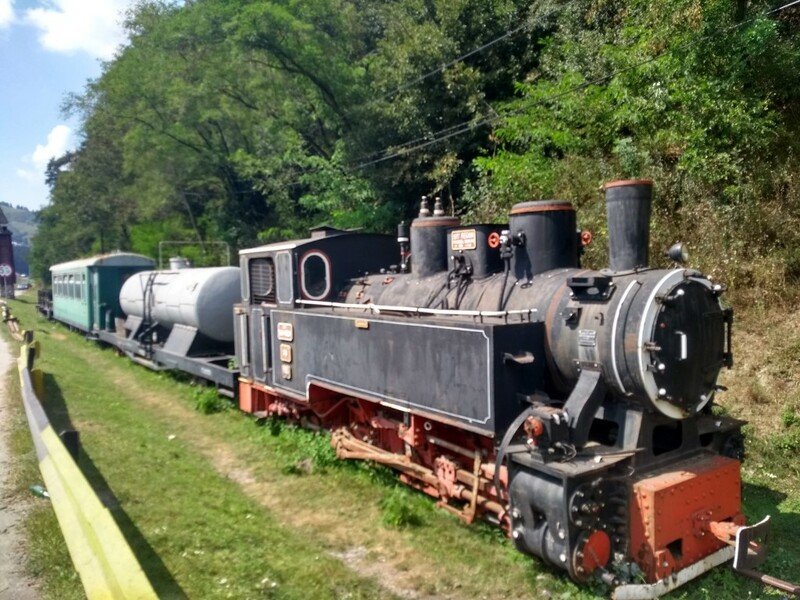 As I got to Campeni, I saw one of the steam trains that used to fill the mountain valleys with that unmistakable chu-chu sound. 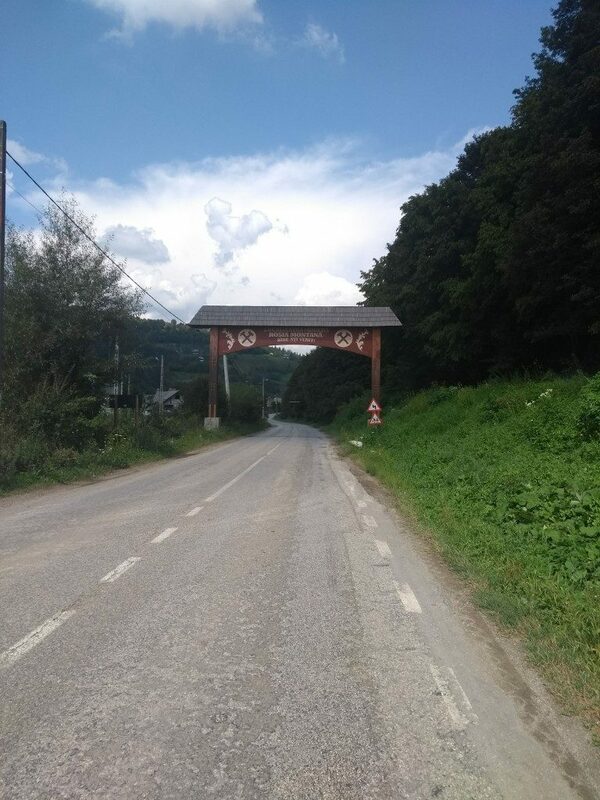 Fortunately for tourists in Apuseni Mountains – there are two routes that have been restored for touristic use: Baia de Fier – Lunca and Brad to Criscior. 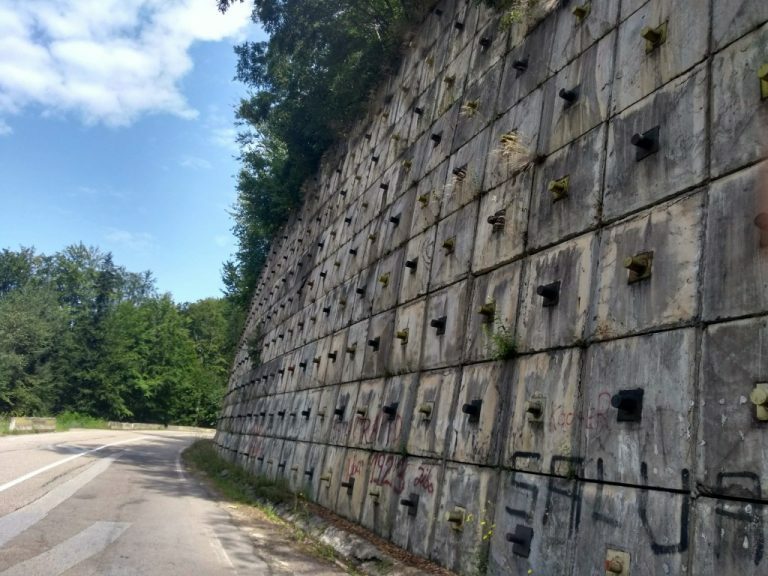 The ones in the picture below, used to carry coal, gold and silver to and from Rosia Montana. As I was breaking any cycling personal records through the Aries valley, the villages were getting more untouched as if you were in the Amazonian jungle. 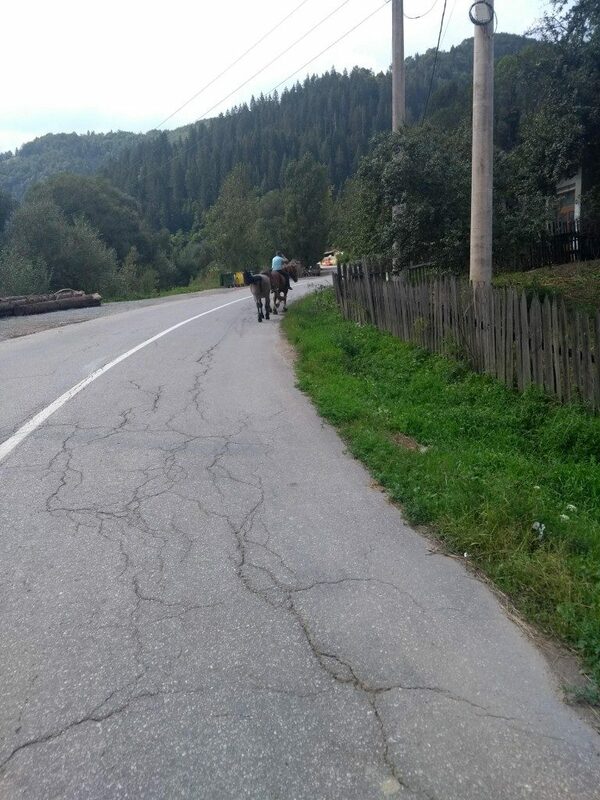 I saw 3 cases of people going to the local bar by horse (as you do) and a few horse carriages that were carrying hay. Beer has never tasted better! Not far from Arieseni ski resort, there’s a famous underground glacier called Scarisoara. It’s the biggest underground glacier in South-East Europe and it has been listed as one of Romanian natural wonders. If you haven’t seen an underground glacier during summer – I strongly advise you to do so! From a 30+ ℃ heat you descend to 0 or 1 ℃ in a matter of seconds: if that doesn’t give you chills, I don’t know what will! 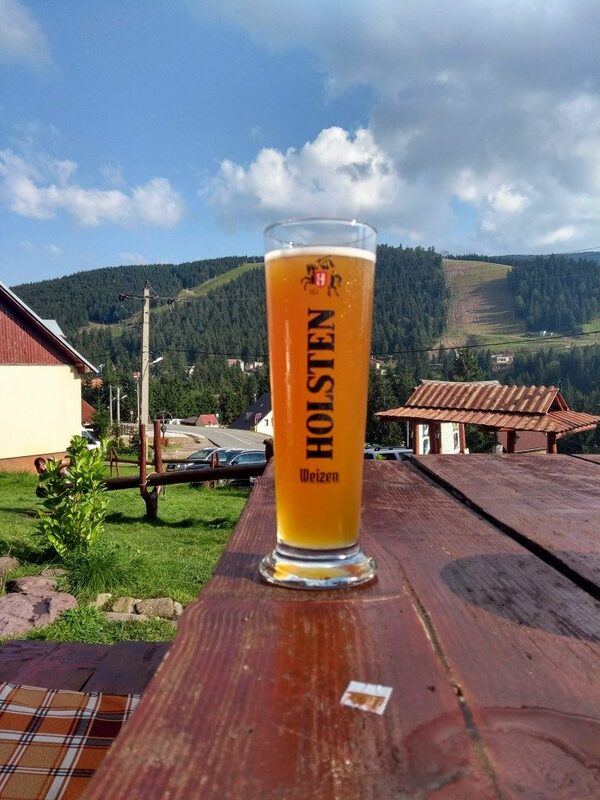 Making my way to Arieseni ski resort, I decide that I deserve a beer and a break after my 2000+ meters’ climbed during the day. So I stop at this terrace overlooking the ski slopes. Beer never tastes better then when you have reached the top of you climb for the day and you only have a 50 kilometres downhill to follow. Mind you, this was after 140 kilometres so far. 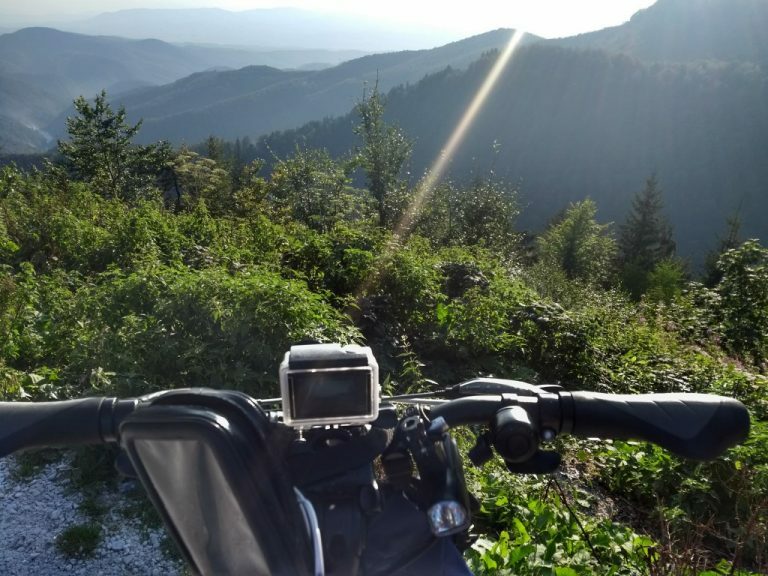 The descend also meant that I have finished my mountain roads of my Tour de Romania. As I managed to finish the last 50 kilometres in less than 90 minutes I feel amazing, I feel invulnerable. I feel like Lance Armstrong with his best doping couldn’t touch me. I got welcomed to my friend’s cabin with food, homemade palinca (our famous traditional drink) and good conversation. What else can one want from a day? The feeling of nostalgia grew stronger as I started and finished the last day of cycling – 95 kilometres to my home-city Oradea. Apart from almost passing out from heat – the day was uneventful. As I was covering my last kilometers my mind reflected back on what I have achieved during the last 6 days: the joyful struggle of climbing Transalpina, the delight of meeting lovely families and people that have welcomed me with all their best. 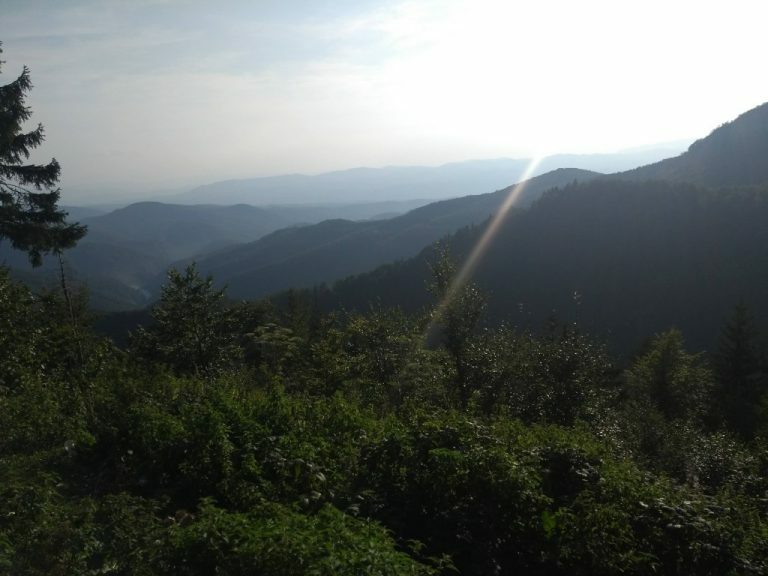 The views, landscapes that Romania got me trough. The food, the drinks and the talks of each night. I will make a big statement here. 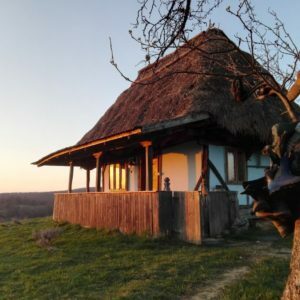 For the ones that want to feel refreshed, immersed in culture and overall have a different holiday experience – Romania is one of you best choices. 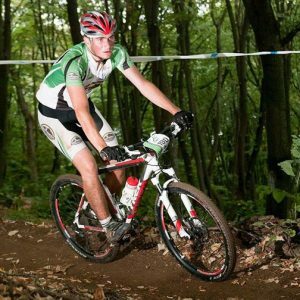 If you do it on bike – I salute you with the utmost respect.What is hard though is to know where to start. As my Polish friends that I met on Transalpina said: “it’s difficult to know where to go and what to do as a foreigner”. That’s because our tourism is not yet developed and centralised to the point of global reach. But to be honest, that’s the charm of this place. It’s not commercial, it’s still untouched – maybe the last part of Europe that can be rightly called so. 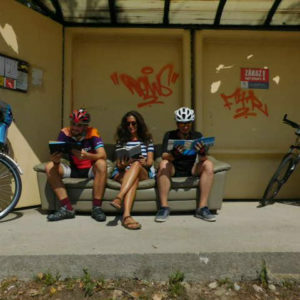 My project Cycling Romania with (Almost) No Money had a deeper meaning at heart – it wasn’t just an A to B trip. I wanted to combat the idea and stereotype that Romania is not a safe place to travel or cycle. Thus, I have trusted my ‘life’ to people along the way and only received more than I ask. Initially, I knew trying to spend no money will be ambitious but spending a total of £20 in 6 days can be classed as almost nothing. You spent more on 5 beers in London and I probably had the time of my life. To finish in grand style, here’s the Cycling Romania with (Almost) No Money after-movie. Do let me know in the comment section below, what you have liked the most in this adventure. 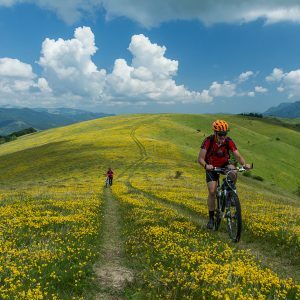 Until next time: happy cycling! 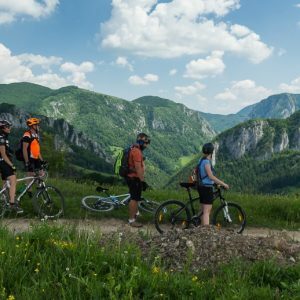 If by following my adventure you have grown to like Romania or you are just curious of what can be done here – get in touch with us and we will use all our experience to create a bespoke holiday for you!